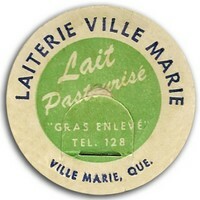 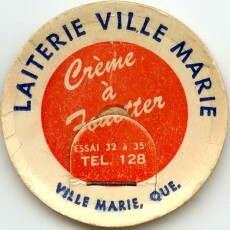 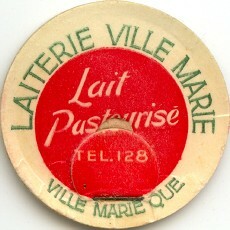 Dianis Ringuette established his small dairy in Ville-Marie in 1945. 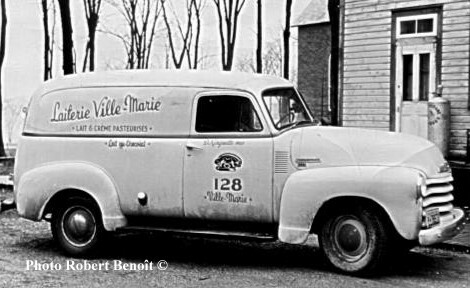 In the beginning, bottling and deliveries were a daily routine. 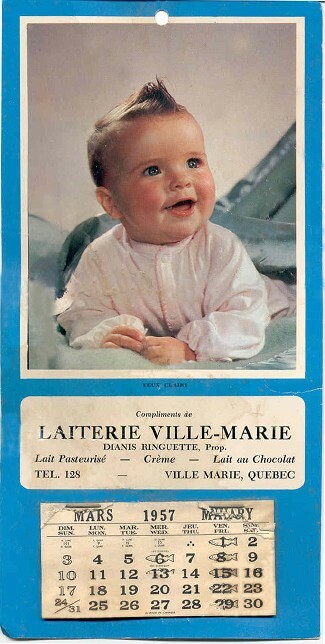 A few years later, new routes were added in order to supply the neighboring communities such as Guigues, Lorrainville, Laverlochère, Béarn and Fugèreville. 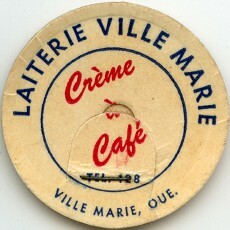 In the early 50's "Belleterre Dairy" was purchased, therefore more routes were added. 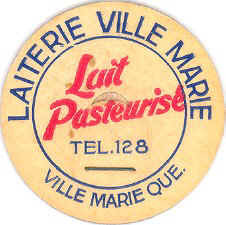 Most of his 6 sons and 3 daughters were also involved in the operations of the dairy. 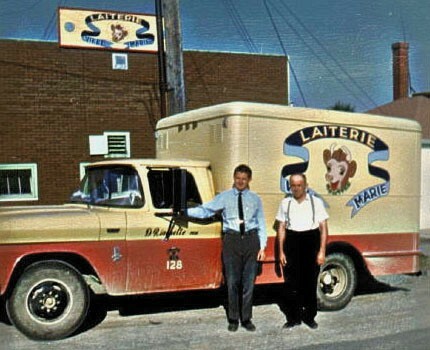 "Dallaire Dairy" from Rouyn, purchased all assets of "Ville-Marie Dairy" in 1967. 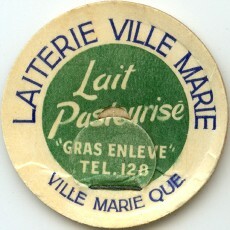 Metal square and round dairy tokens were used but these are no longer available today.